In late 2018, Mayor Durkan and Executive Constantine announced plans to merge spending, operations and policymaking for homelessness services under one regional agency with the express goal of streamlining a fragmented response. 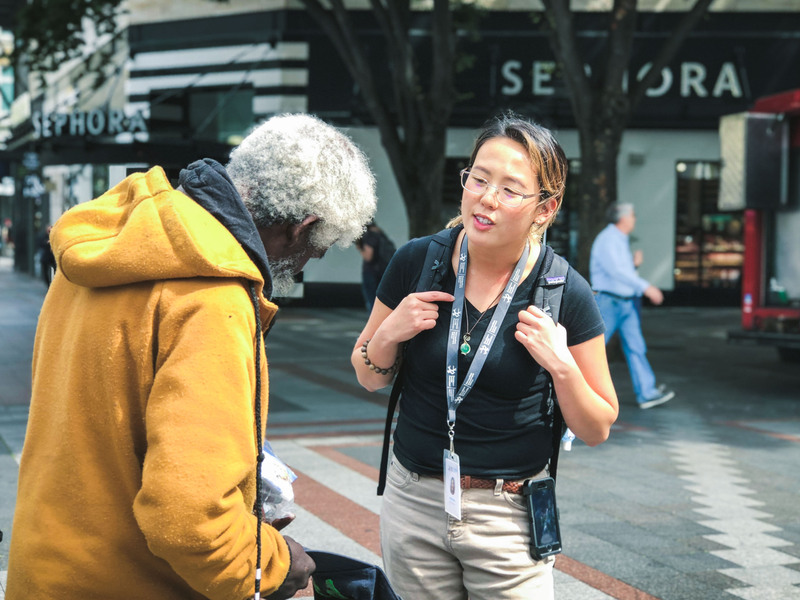 We believe this is a much-needed step toward housing the increasing number of people experiencing homelessness in downtown Seattle and King County, and encourage you to read the report and recommendations from the city and county consultants. Meanwhile, our board and staff continue to deeply engage in this issue both through advocacy and direct services. In November, DSA hired Chelsea Nelson to ensure more dedicated attention to homelessness and affordable housing. In 2018, the DSA/MID Outreach Team helped secure housing and services for 72 people experiencing homelessness. Additionally, DSA has hired 53 people experiencing homelessness onto our Clean Team through a celebrated partnership with the Millionair Club. Our 2019 State of Downtown event will feature a panel discussion on affordable housing and homelessness. For more information on DSA’s work on homelessness, please contact Chelsea Nelson at chelsean@downtownseattle.org.